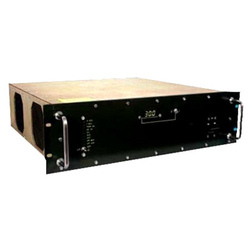 In order to append and respond to the diverse requirements of esteemed clients, we are able to offer Power Supplies For Transmitters / Jammers . 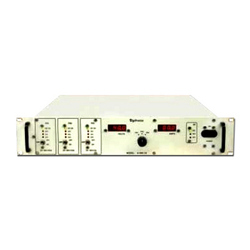 Applicable in high power communication transmitters and hammers, the offered range is appreciated for generating 10,560 watts (32 V DC 330 Amps) of power. 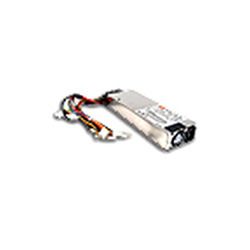 These products are customized with output ratings up to 10KW. All Series of Power Supplies tested for low and high temperature operation storage humidity,tropical exposure and vibration to meet stringent defence application for continuously.Built in battery charger option as a second O/P DC Output available with auto charge over. 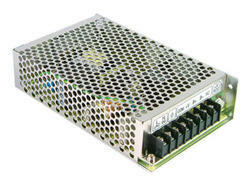 Our customers can avail 1920 Watt AC DC Converter from us. The offered range is designed using superior grade components and latest techniques in tandem with the industry laid norms and standards. Proficient and innovative quality experts hired by us make sure to test the entire assembly on various characteristics so as to ensure that flawless converters are dispatched at customers' premises. 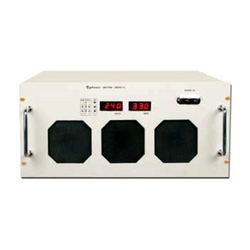 With an immense experience and a competent team of professionals, we are able to deliver Triple Output SMPS 1800 Watts. 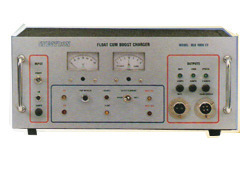 The offered range is known for generating 1800 watts of power. Manufactured in strict conformation with the MIL STD 461E and defense or military grade, the offered range is compatible with EMI/EMC. These products are applicable in check out systems in 2U Ht construction.